This year's Primary Election is Aug. 14. Political reporter John Croman is helping you get ready. 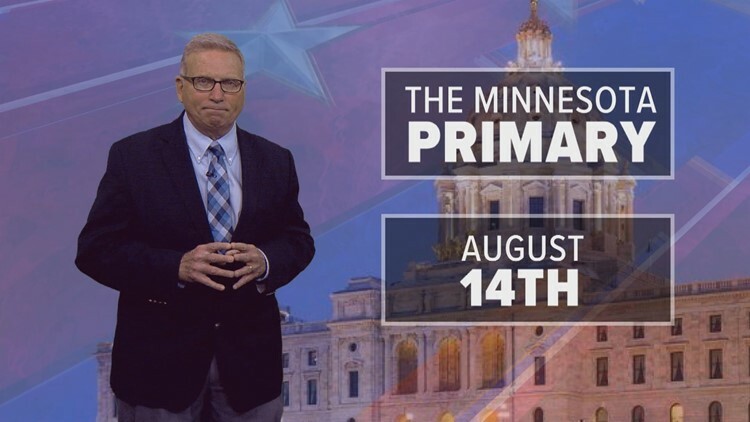 KARE 11 Political Reporter John Croman has been busy putting together a Primary Guide with inside looks at the biggest contests on the ballot, from Governor and Attorney General to the vacant 5th Congressional District seat. ST. PAUL, Minn. - With the 2018 primary just over a week away pundits are predicting record voter turnout in Minnesota. The number of high profile races and big-name candidates are the likely reasons why. KARE 11 Political Reporter John Croman has been busy putting together a Primary Guide with inside looks at the biggest contests on the ballot, from Governor and Attorney General to the vacant 5th Congressional District seat. There is also a Primary 'How It Works' video, to walk new voters through the process. The Minnesota Primary is Tuesday, August 14.